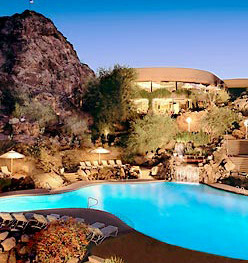 The resort is located high on a hill top overlooking Tempe. Nearby attractions include Diablo Stadium and Grady Gammage Memorial Auditorium. 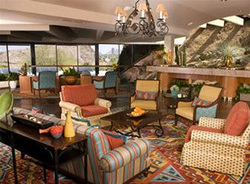 Dining options at The Buttes, A Marriott Resort include a restaurant and a bar/lounge. Room service is available during limited hours. Recreational amenities include an outdoor pool, a children's pool, a spa tub, a fitness facility, and tennis courts. There is a full-service health spa on site. This 3.5-star property offers wireless Internet access is available in public areas. This Tempe property has event space consisting of banquet facilities and conference/meeting rooms. Concierge services and tour assistance are available. Guest parking is available for a surcharge. Additional property amenities include a poolside bar, a coffee shop/café, and valet parking. There are 353 guestrooms at The Buttes that come with premium bedding, coffee/tea makers and minibars. Bathrooms feature designer toiletries and hair dryers. Guestrooms offer multi-line phones with voice mail. Televisions have video-game consoles and pay movies. Air-conditioned rooms also include desks, irons/ironing boards, and clock radios. Guests may request hypo-allergenic bedding and extra towels/bedding. A nightly turn-down service and housekeeping are available. Cribs (infant beds) and roll away beds are available on request. Guestrooms are all non-smoking. This property is ideal for either a cocktail reception style reunion or a more formal banquet style event. 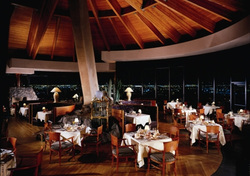 The "Tequila on the Rocks" Bar with beautiful views of Tempe and Phoenix is perfect for a cocktail reception style reunion celebration offering gourmet hors d'oeuvres and live entertainment or DJ spinning hits from your classes' era. The following are price options available at The Buttes Resort which includes venue meeting space rental fees, a professional DJ, Photographer, Class Website, Facebook Reunion Community Page, Classmate Name Badges, Door Prizes*, On-Site Reunion Coordinator, all taxes and gratuities, and much more. Reunion Extravaganza Option - Combines both options for one low price:Light and Gourmet hors d'oeuvres: Save by combining the best of both options with all the selections from the light hors d'oeuvres option and the gourmet hors d'oeuvres option. *Door Prizes vary based on food and beverage option selected and class registration.